Staying aware of the current market trends is a necessity, irrespective of what sector you are in. And web designing is no exception. And, TBH, this sector is even more dependent on the market trends as this sector deals with the market on a daily basis. We are already in the mid of April here in 2019 and we can easily spectate the changes in web designs that are happening around. So, if you have been a part of it already, you don’t need to scratch your head to figure things out as you have my back. Here in this article, I have summed up 7 web design trends that can help you get back on the track with your website’s design. Using shadows in website design is already in trends. But what people are expecting to see here are the variants. Yes, with the advancement of browsers, you can now expect to see some newer versions of this already-in-trends stuff. But what makes things difficult for the designers is nothing but creating depth of field when 3Ds are not available. Usually, there are a number of website designers who find flat designs quite boring, here shadows come as a savior. They create pop-up designs with their Midas touch to make things more lively. From eternity, designers have been implementing shadows to break the rules using standard looks which we have been knowing as drop shadows. 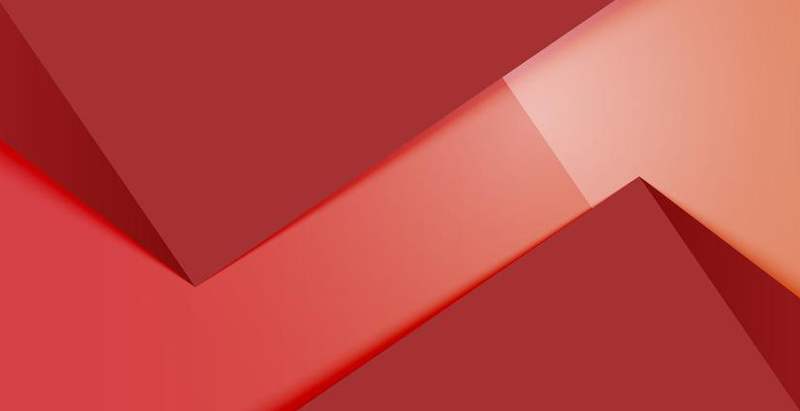 This drop shadows technique places a false shadow behind design elements as if it is an object. These pseudo-shadows get controlled through several parameters creating changeable degrees of amount and smoothness that pretend like real shadows. Through this technique various elements on the webpage seem to float over the respective page, hopping out to garner even more attention of the website visitor. 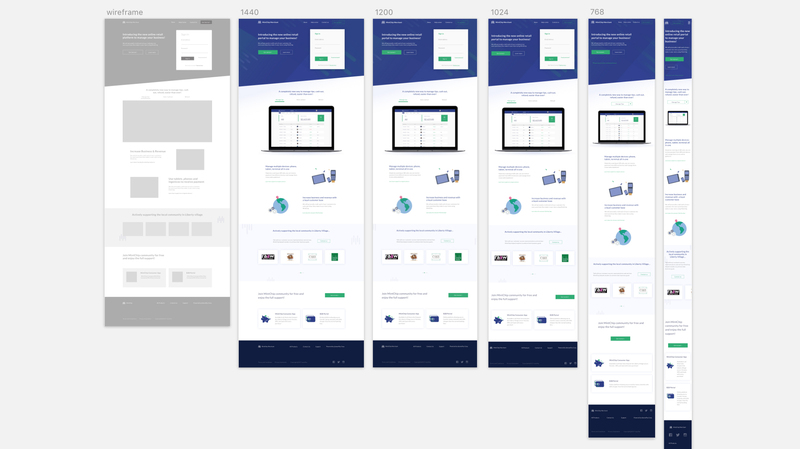 Though, when aligned with the grids and other layouts, web designers worldwide are enjoying their time working with shadows even more comparatively than making depth. This trend is really creating an impact on the flat design trend which has become quite popular in recent days. 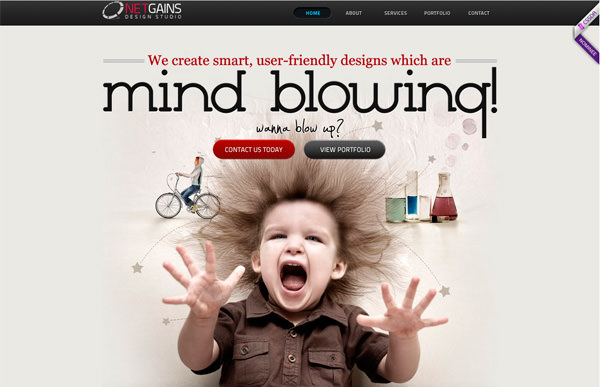 This shadowy design really creates a great impact on the website design making things even more creative. Browsing on smartphones nowadays has exceeded the amount of crowd that surfs through websites via desktops or PCs. A good number of people are now even using their smartphones to buy stuff over the Internet. Though even a few years back this was something not everyone was used to do. And that increased the confusion among the designers about how to get their things done accordingly. Now as the tech behind smartphones is breaking the ground, simultaneously the UI of the websites have seen new heights. Everything nowadays has now got a classier touch with the steep curve of smartphone usage. And with this, the issues with UX have become easier to understand and patch. Readability has become a big thing nowadays and that’s why the emphasis on typography has been elevated gradually. So, what are the things that you need to keep an eye on while you are working with typography? Gaining the trust of the website visitors. Now here’s another question for you. What is the thing that can help you communicate directly with your website visitors? It’s the texts that appear on your website, aren’t they? Yes, and that’s why typography should never be undervalued. Typography has been a very helpful tool for web designers since ever and that’s why it deserves the amount of attention it gets. Other than Internet Explorer, most of the other browsers do match up well with hand-made fonts which can be put in your website designs through CSS. So, in this era of modern tech, if you want to grasp the attention of your website visitors, it is important that you put important textual portions in bold to grasp the attention of your website visitors in no time. Websites nowadays are trying to help their visitors in other ways. They now try to address their customers with such content that can help increase the emotion factor among their audience. They believe that in this way their customer base will never doubt about their authenticity. And, the best part is, this actually works. An article by Aaron Walter’s article on Think Vitamin, “Emotional Interface Design: The Gateway to Passionate Users”, goes deeper into the propensity of designers about their capabilities of underpinning emotion in their website designs. This practice is actually quite important when it is about optimizing your content for the search engines to find your website easily. And, all these are capable enough of making a great impact on Search Engine Optimization for real. Infographics are the favourites of website visitors nowadays. And, there are valid reasons. 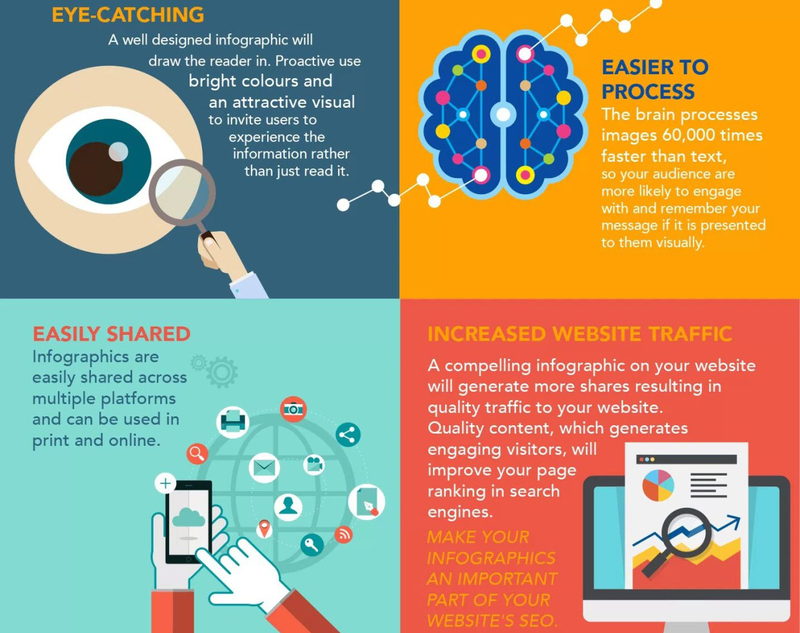 Infographics provide website visitors with a lot of information just by looking at them. And the best part is, you can make many of them without spending a single penny on them. If you look into the stats, you might find things that do not support what I am saying here, but the thing is that infographics are a new thing and that’s why they haven’t created so much impact that they’ll successfully affect the stats. But TBH, infographics can attract a lot more people towards websites when compared to written blogs, no matter how much information they contain. And, you can also share them on social media and people can have a look at them without even opening any redirected link. Other than that, there are a good number of tools that can help marketers make eye-popping infographics to make an impact in social media. And, the best thing is, a person or a company can gain a lot of profit from infographics in the same way as bloggers benefit and bring in numerous views, attention, and backlinks. Lastly, infographics are a lot more persuasive and effective in today’s busy world. So, I guess you won’t mind giving them a try if you haven’t yet. AMPs or more popularly known as Accelerated Mobile Pages is a system that helps pages open faster on mobile phones helping visitors stay on a website for longer durations. Technically speaking, if you are surfing on 3G or 4G then an AMP might take hardly a few secs to open. Due to this fast loading speed, Accelerated Mobile Pages are successful in boosting up ranks of websites in the Search Engine Result Pages. Even they have a strong impact on Google AdWords as well as you have never visualized before. AMPs can also contain advertisements and helps to generate websites that are really very effective and can make a huge impact due to their fast loading speed and their successful high-performance across all devices be it a desktop, a PC or mobile phones. So, AMP can really help in optimizing mobile sites with ease, dodging other peripheral hassles. Voice Search is in trends nowadays. And, it can be understood from the steps large companies are taking towards this trend. For instance, Amazon has Alexa, Apple has its own Siri, and Microsoft has Cortana who get triggered by voice search. Today, even Google is also an empowering voice search with their eponymous Voice Search Assistant. So, optimizing your website according to relevant voice searches is also an important thing to perform for marketers. When your clients can get their answers directly by asking questions verbally, this will save their time and will definitely improve your productivity. This advent will definitely affect the lead generations and you will visualize nothing but the increment in the number of your leads. 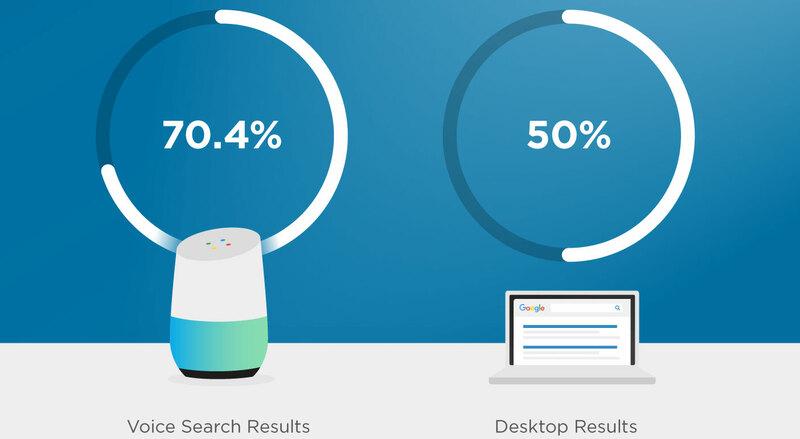 So, you can already understand why Voice Search can do good to your website’s ranks in the SERPs. So, here we come to an end of this blog. Hope this has helped you enough in understanding what the web design trends are that can boost up your website rankings. Let us know what you feel in the comment section and if you still have any queries then you can just give us a call. Ayushi Choudhary is a Jr. Content writer working with Ethane Technologies. In her corporate life she writes many blogs and articles on Web design and development, SEO, SMO and many more.